Michael A. Flannery looks back at how Alfred Russel Wallace’s take on evolution, which radically reintroduced notions of purpose and design, still speaks to us in a post-Darwin world where problems of sentience and of the origin of life remain, some would argue, as intractable as ever. 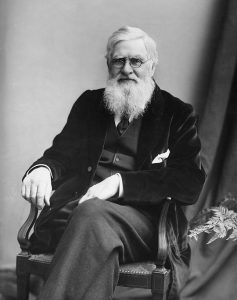 If anything at all is ever mentioned about Alfred Russel Wallace (1823-1913) it is that he co-discovered the theory of natural selection. The letter he sent to Darwin from the island of Ternate in the spring of 1858, “On the Tendency of Varieties to depart Indefinitely from the Original Type,” shocked its recipient into publishing On the Origin of Species that following year. Darwin became both noteworthy and notorious, for while his theory was hailed by many as heralding in a new scientific era, it also suggested that all the wondrous diversity of life could be explained without recourse to a divine Creator, raising the cry of “heresy!” from many more. The English clergy particularly decried that William Paley’s watchmaker had been replaced with chance and necessity. “The old argument from design in Nature, as given by Paley,” Darwin declared, “which formerly seemed to me so conclusive, fails, now that the law of natural selection has been discovered. . . . There seems to be no more design in the variability of organic beings, and in the action of natural selection, than in the course which the wind blows.” Thus Darwin became the era’s leading heretic. 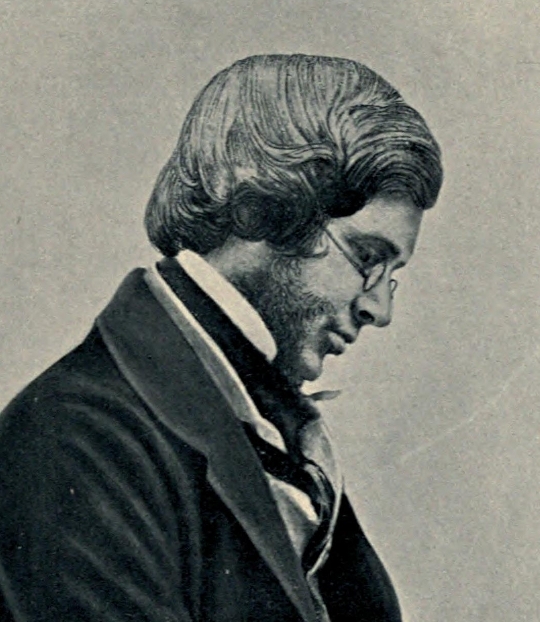 But notice is seldom given to Darwin’s colleague, Alfred Russel Wallace. He is credited for co-discovering natural selection but then quickly recedes into the mists of history rarely to appear again. What is seldom mentioned is that Wallace became the heretic’s heretic when he boldly reintroduced purpose and design back into nature. When Wallace’s Ternate paper was read jointly with portions of Darwin’s work at the July meeting of the Linnaean Society in 1858, no one noticed any real difference. There were, however, important distinctions between the two concepts of natural selection from the start. For one thing, Wallace never thought much of Darwin analogy of domestic breeding as good examples of evolution in action since the very act of choice and selection demonstrated nothing more than unnatural selection. Most fancy breeds of pigeons, dogs, and livestock would, he argued, either revert to their original type or perish. More importantly, Wallace emphasized Darwin’s own principle of utility, namely, that organs or attributes arise and are maintained only if they afford the species a survival advantage in nature. When strictly applied, Wallace came to understand natural selection as having limited explanatory power on this basis. Maintaining rigorous adherence to Darwin’s own principle of utility but inclined to pursue scientific inquiry outside the bounds of methodological naturalism, Wallace’s break with Darwin was inevitable. 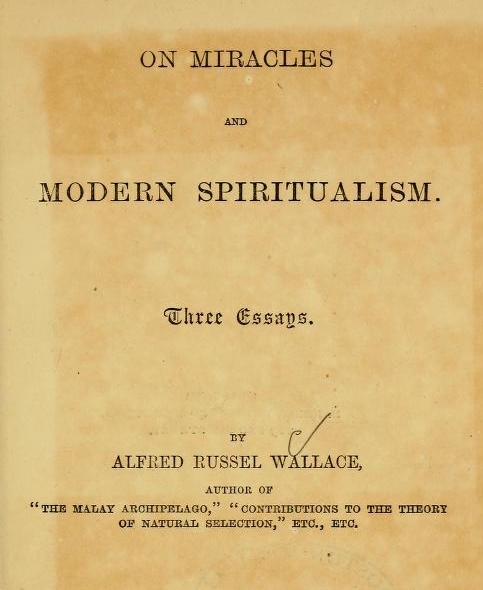 It has been suggested by some that Wallace’s conversion to spiritualism was behind his defection from Darwin. On July 22, 1865, Wallace attended his first séance with his sister Fanny. Like many other intellects of the Victorian era — in Britain there was physicist William Crookes, Nobel Laureate Lord Rayleigh, and Oliver Lodge , to name a few; in America there was noted psychologist/philosopher William James and Columbia University logician James Hervey Hyslop — Wallace became an ardent spiritualist. 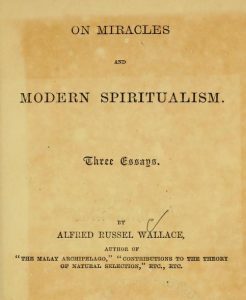 But Wallace’s spiritualism cannot simply be dismissed as the product of a “heretic personality.” While the frequent attribution of spiritualism’s popularity among leading Victorian intellects (especially scientists) to a “crisis of faith” no doubt has some truth, spiritualism was never completely refuted on its own terms. Stage conjurors (magicians) and leading opponents from the scientific community all failed to catch the age’s leading spiritualist, Daniel Douglas Home, in any overt chicanery and the “impostures” of renowned medium Leonora Piper were more suggested than proven. In the end, scientists who rejected spiritualism simply explained it away as wholly subjective. This is not to vindicate spiritualism it is merely to suggest that the movement posed a significant problem for scientists attempting to establish a meaningful discourse of objectivity and a normative basis for scientific inquiry based upon quantifiable empirical data on the one hand and those reliant upon personal testimony based upon experience and observation on the other. Seen in this light the contention over spiritualism is better viewed as an effort to negotiate precisely what counted as legitimate evidence rather than as a collection of séance addicted eccentrics who merely provide historians comic relief in the otherwise serious and steady march of scientific progress. Moreover, ascribing Wallace’s break with Darwin to spiritualism fails on two specific counts. First, the teleological leanings (finding purpose in nature) well predated his first séance. Wallace biographer H. Lewis McKinney sees this shift occurring as early as 1862/63 and Martin Fichman perhaps even earlier in 1856. Second, Wallace never argued for design and purpose on the basis of spirit phenomena, but upon an abductive inference that called upon intelligent agency to explain complexity. I can imagine the supreme, the Infinite being, foreseeing and determining the broad outlines of a universe which would, in due course and with efficient guidance, produce the required result. He might, for instance, impress a sufficient number of his highest angels to create by their will-power the primal universe of ether, with all those inherent properties and forces, necessary for what was to follow. Using this as a vehicle the next subordinate association of angels would so act upon the ether as to develop from it, in suitable masses and at suitable distances, the various elements of matter, which, under the influence of such laws and forces as gravitation, heat, and electricity, would thenceforth begin to form those vast systems of nebulae and suns which constitute our stellar universe. Wallace now comes to us as a heretic’s heretic. Discussions about evolution become battlegrounds where the faithful contend with the “new atheists” over the nature of Nature. But as Wallace’s life reveals, it is not about evolution or common descent or even natural selection, but about the explanatory power of blind natural laws. The problems of the human mind, of sentience, of the origin of life remain as intractable as ever. Darwin now wears the crown of convention and orthodoxy burdened by these persistent anomalies, so we would do well to remember on this centennial of Wallace’s passing (November 7th 1913) that the co-discoverer of natural selection remains Darwin’s heretical heir apparent. This entry was posted in Biology, Evolution, History. Bookmark the permalink.